Vitriol. Vehemence. Two words I never thought I would be able to attribute to gamers. In fact, en masse, gamers have avoided this for many years. Yes, there were trolls. They have existed pretty much since the dawn of humanity. When one early hominid invented the wheel, another trolled him for being nerdy. The point is, the recent rise of hate in the community is astonishing. It’s unfair for me to label all gamers as having this terrible affliction, but a good majority have lost sight of the values that got most of us into gaming in the first place. Specifically, the desire to play games for fun, and inclusivity of all gamers as a whole. What’s interesting about this animosity is that it isn't just aimed at gamers, it's become an unending salvo of suppressing fire that’s hitting innocent bystanders. What’s even more shocking is that it has gone so far that it has even poisoned the watering hole at Cogswell. Now, I am positive I am going to get flak for this piece, but hear me out. I was walking down the bizarrely doorless, labyrinthine, new campus the other day, and I overheard two students blasting Bethesda for Fallout 76. Having a deep love of the series, I listened in, “I just don’t understand how Bethesda failed us so utterly.” When I asked the two if they had even tried the game they said no, they hadn’t. 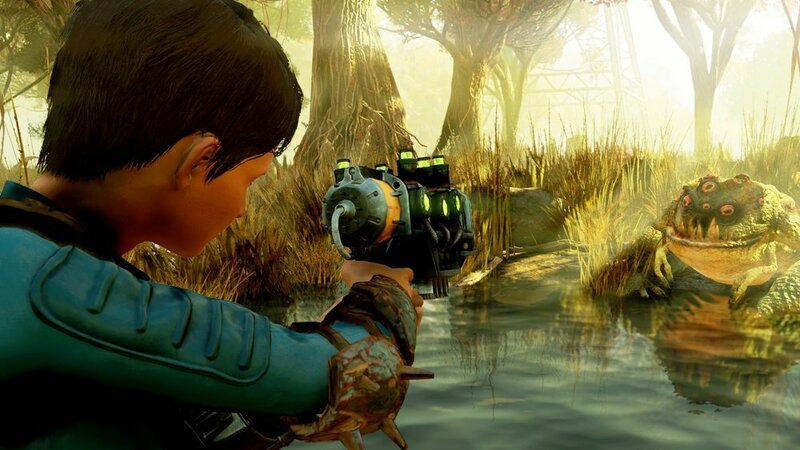 Now, there are legitimate criticisms for Fallout 76, and I have admitted a deep love of the series, and that doesn’t mean that—as an aspiring developer—I cannot remove my rose-colored lenses and see the game's flaws. Was the launch handled poorly, yes. Were there bugs in the game? Yes. Obviously, Bethesda isn’t perfect, but they are working to fix the errors as well as add content. The game is still fun, and especially fun to play with friends. But without playing it, there is no way to possible criticize the game. You need to have a base to work from when providing constructive criticism. For example, Red Dead Redemption 2 had so many bugs in it when it first launched that I literally couldn’t play it. My horse was continuously committing suicide and taking me with it. Personally, I don’t have time to get through a four-hour long tutorial. See how easy it is to provide constructive criticism when you’ve actually played the game? Even with all of these bugs, I still can see the appeal. It was stunningly beautiful, it had great dialogue and plenty of people enjoy it. Did I crucify Rockstar? No. It is an achievement and they should be lauded. But unlike Rockstar, people didn’t even give Bethesda a chance. Instead, people decided to drive a stake through Bethesda’s heart and tear them apart. Bethesda. The studio that has won multiple Game-of-The-Year awards and produced hit game after hit game makes one game with a few flaws and everyone hates them. Suddenly the company that made one of the most purchased game in history, Elder Scrolls V: Skyrim (Tableau), is now ranking at the top most hated company alongside EA. Do you know what I hear when I hear student’s or gamers talking like that? I hear privileged whiny children that didn’t get their way so they’re throwing a tantrum. I hear aspiring designers smack talking the hard work of an entire team of developers that worked their asses off to give you something they thought was cool. Do you know what I don’t hear? A critical analysis of the game's failings and how they could be improved. I don’t hear positivity. I don’t hear us working towards solving a problem. We’re all aspiring game developers, animators, musicians, business people, and the best we can do is smack talk a company that it would be a dream come true to work at? Do you do that in class? Do you tell your fellow students that their project is crap and that their entire work should be thrown out, that they were always terrible? No. Why? Because you’re not a terrible human being. But when it comes to games, companies, or people playing online, suddenly that’s okay? Offering criticism and having an adult conversation stand in stark contrast to smash talking something or someone you haven't tried or met. Can we bring back the gaming community that made me want to make games? Can we bring back the love? Can we bring back the inclusivity? Or is it so important to us that we look cool that we join any bandwagon that we see? I realize my age as I say this but, if the internet jumped off a cliff would you follow just to “Do it for the Vine?” I get it, maybe 76 wasn’t your cup of tea much like Minecraft isn’t mine. Do I go out and say that Minecraft is the worst game ever and we should destroy Mojang and all of the developers? No. So just take a moment and reflect on one last thing for me. Remember that you’re the future of this industry. Let’s make it our goal to stamp out hate. Let's stop the spread of this useless antagonistic approach. Instead, let's rise above and bring back to the community what brought so many of us in. Grab a Nuka Cola and zap that hate.